By now we know that if we want our marriages to be healthy we have to do a better job of connecting with each other. But, the common demands of life make it more and more difficult to remember that connecting means more than living life alongside each other. We have to be purposeful. 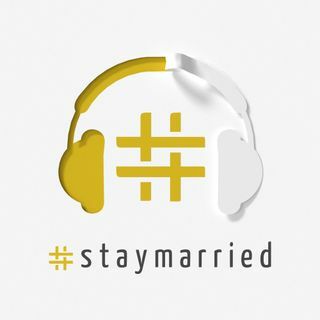 Making connecting with each other simpler was the major motivation behind writing the book #staymarried: A Couple's Devotional. This book contains 52 chapters, one for each week of the year, and is designed ... See More as an invitation into your own marriage. In this episode, we go through one of the chapters together for the first time since the book was published - Week 17: Pay Attention - and answer the discussion questions candidly. We were each surprised by each other's insights and responses, and we both finished the conversation feeling pretty good about ourselves and each other. We hope you do, too.